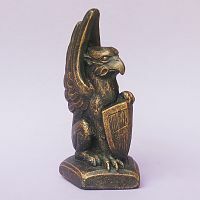 - This noble little griffon stands guard carrying a shield inscribed with the word "Honor", ready to protect his allies with dignity and grace. 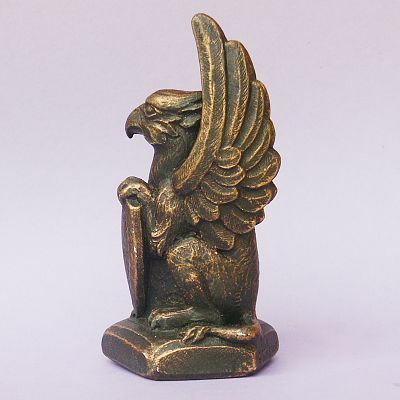 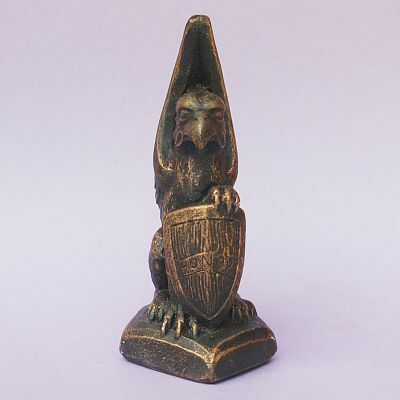 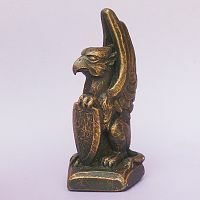 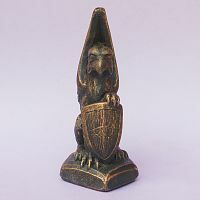 He was inspired by the much larger Vigilant Gryphon, and modeled as a palm-sized reminder of our responsibility to others. 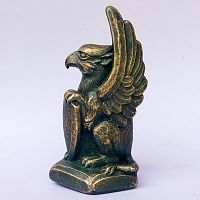 Measures 4+ inches tall. 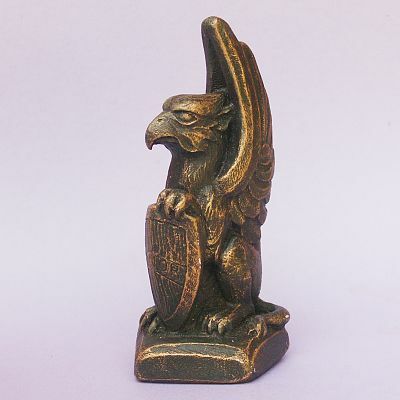 Cast in bronze hydrostone. Do you have any other questions about our Warwick the Gryphon of Honor Statue?